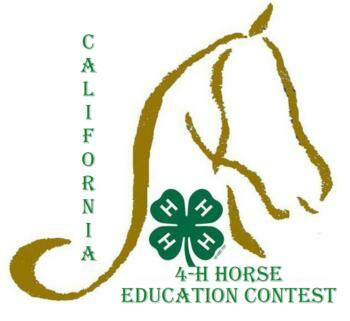 The California 4-H Equine Planning Committee will be hosting the 2019 California 4-H Horse Education Contest at Fresno Ag Pavillion. The California 4-H Horse Education Contests gives 4-H members an opportunity to compete at the state level in horse educational contests. The California 4-H Horse Education Contest offers 4-H members the chance to showcase the culmination of their efforts put forth in their equine projects throughout the year. Members are able to showcase their equine knowledge in three contests: Hippology, Horse Judging, and Public Speaking. These contests are the CA qualifier for the Western National Roundup National Competition. The top senior individuals in the public speaking contests, and the top four individuals in Horse Judging, Hippology and Horse Bowl will have the opportunity to represent California at the Western National Roundup in Denver, Colorado on January, 2019. View the results from the Jan. 2017 Western National Roundup. The Horse Judging contest teaches youth how to evaluate horse’s conformation, breed character, and performance ideals based on knowledge and fact, make a decision, and defend it. The public speaking contest is designed to help youth to practice their presentation skills using equine as the subject matter while expanding their equine knowledge and increasing their research and study techniques. All participants must fill out a medical authorization form and waiver of liability and mail them to the State 4-H office by Monday, April 22 or scan and email them to jbautista@ucanr.edu.